Welcome to my page! When the thought of Christmas time comes up one of the most popular images to pop into peoples' heads is the ever popular Christmas tree. 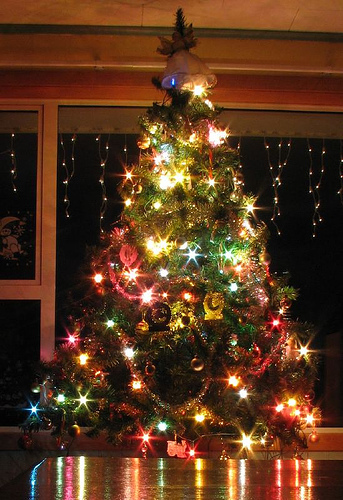 The tall, green Christmas tree covered in holiday lights and ornaments and topped off with a star. Though decorating Christmas trees is a fun way to celebrate the cheery holiday there are, believe it or not, other important jobs that the Douglas Fir is responsible for. Throughout this website you will find information about why this tree is so important to the habitat it lives in and how it really affects us in more ways then we may be aware of. So go ahead and explore my website and I hope you can gain a better understanding of the Coast Douglas Fir and all it has to offer in this great big world of organisms!